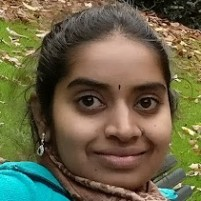 Lakshmi P Shanmugam is currently the co-lead of Eclipse Platform SWT and has been a committer on the project for about 8 years. She primarily works on the Mac Cocoa port and enjoys working on the Mac. She has been an evangelist of Eclipse process and technologies and has presented in several Eclipse Day sessions and Eclipse Demo camps. She works for IBM and has an experience of about 10 years.